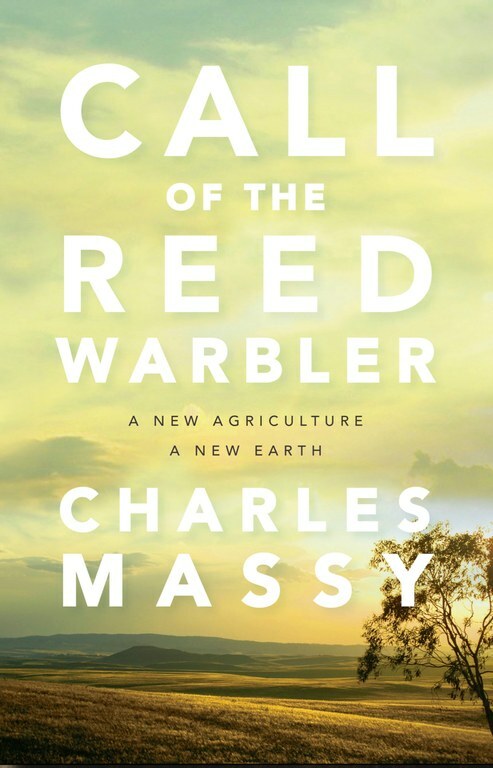 Call of the Reed Warbler, by Charles Massy, published by UQP September 18 2017. According to Bill Gammage is a "profound, complex, anecdotal, Call of the Reed Warbler, wants to change the world; it could be the most important book you will ever read". Charles Massy’s previous bestselling book, Breaking The Sheep’s Back, exposed the $10 billion collapse of the wool industry. This time he turns his forensic eye on how we farm and grow food. Call of the Reed Warbler is an urgent call to arms - the urgency stemming from the fact that Earth and its supporting systems is slipping into a totally new, dangerous and human-caused epoch – the Anthropocene. But there is hope, and this ground-breaking book focusses on a new regenerative agriculture and consequently a rejuvenated Earth. It tells the story of extraordinary and tangible solutions to this first-time ever, human caused crisis. Call of the Reed Warbler will change the way we think of how we farm and grow food. Author and radical farmer Charles Massy explores transformative and regenerative agriculture and the vital connection between our soil and our health. It is a story of how a grassroots revolution – a true underground insurgency – can save the planet, help turn climate change around, and build healthy people and healthy communities, pivoting significantly on our relationship with growing and consuming food. Using his personal experience as a touchstone – from an unknowing, chemical-using farmer with dead soils to a radical ecologist farmer carefully regenerating a 2000-hectare property to a state of natural health – Charles Massy tells the real story behind industrial agriculture and the global profit-obsessed corporations driving it. He shows – through evocative stories – how innovative farmers are finding a new way and interweaves his own local landscape, its seasons and biological richness. According to Massy, we need a revolution as human health and our communities, and the very survival of the planet depend on it. For farmer, backyard gardener, food buyer, health worker, policy maker and public leaders alike, Call of the Reed Warbler offers a tangible path forward for the future of our food supply, our Australian landscape and our earth. It comprises a powerful and moving paean of hope.